This grey Harris Tweed is complimented with Liberty's Betsy Ann print fabric, taken from the Autumn/Fall Winter collection in 2013. It is a small scale version of Liberty's classic Betsy fabric, which was created for Liberty in 1933 by an unknown designer. 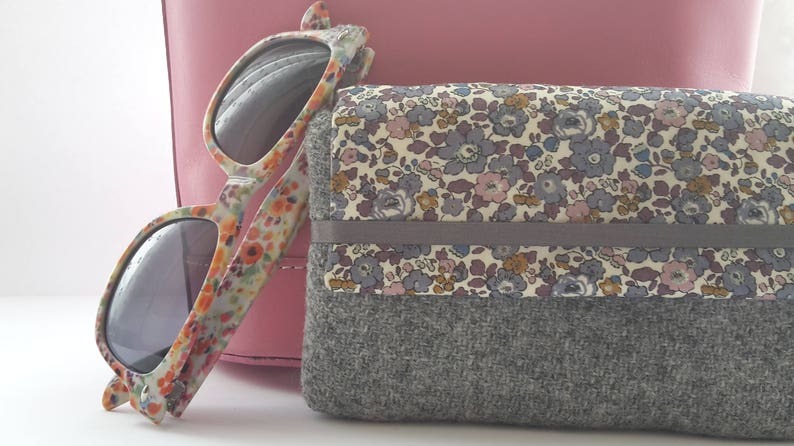 Ensconced in a pillow of padding, this HandyMandy glasses case will keep your eyewear safe and sound.